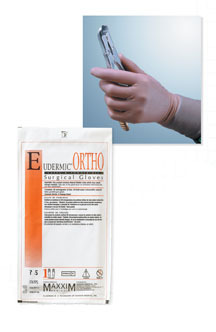 Eudermic Ortho™ are 20% thicker that standard surgical gloves or more protection and durability. These low-protein gloves have an aggressive grip and a unique, reinforced beaded cuff to resist tearing. Brown color.